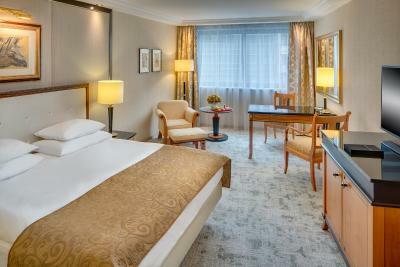 Lock in a great price for Kempinski Hotel Corvinus Budapest - rated 9.1 by recent guests. Great hotel. Location is just amazing, very central. Even if needed to go to rural areas, 20 second walk to a subway station. Giant rooms and kind staff. Everything feels premium. An excellent situation. 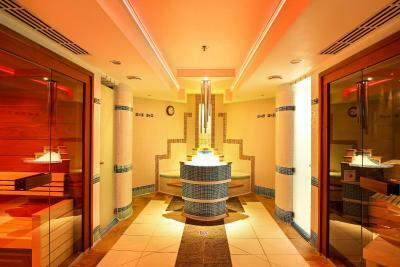 Nice, although small SPA. Comfortable room. No noise. Exellent service! New room, good breakfast. Recomend! 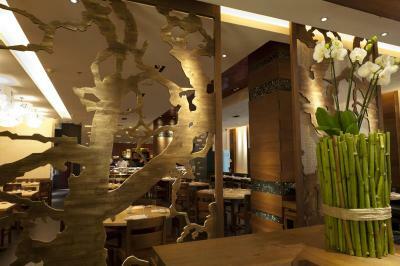 Excellent, classy service, attentive staff, superb room. 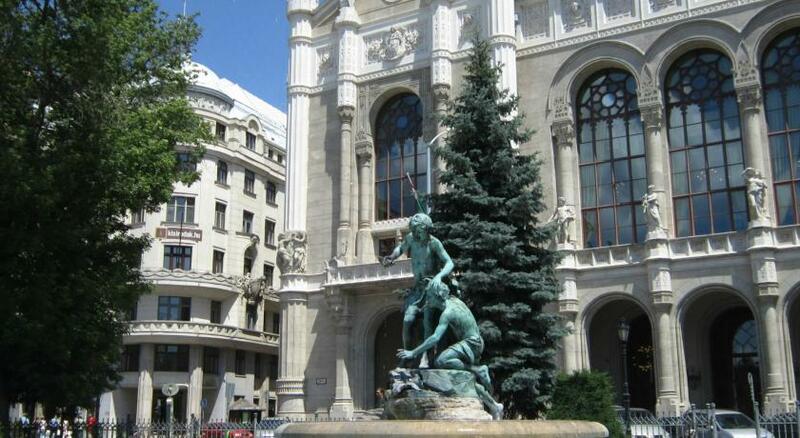 Excellent location in the city centre close to the Danube and shopping districts. Hotel was really clean and bed was super comfy. 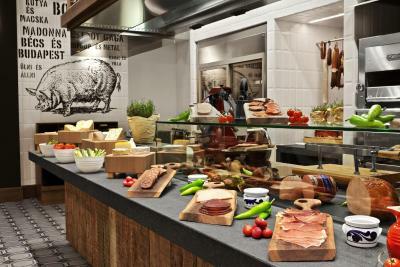 Breakfast had a very wide selection....something for everyone. The Location is super. The Bar. The Stuff. 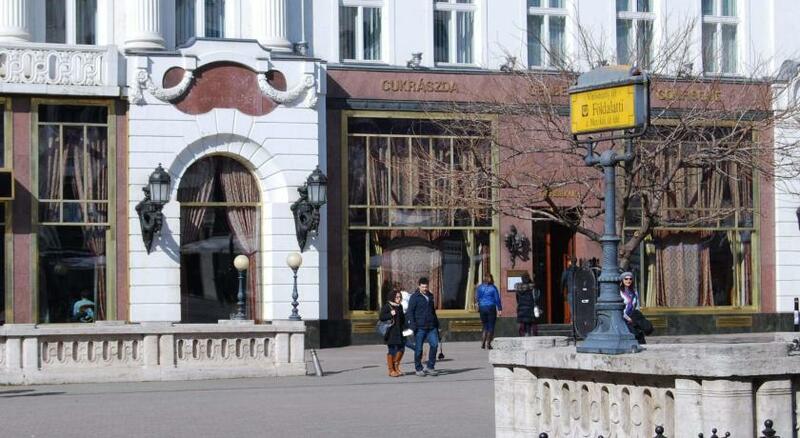 Maybe not the best Kempinski in the world. 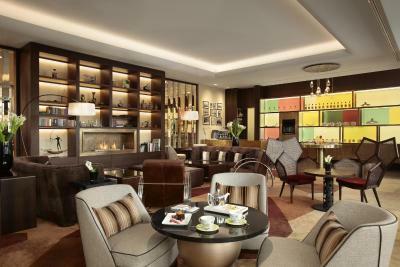 But still Kempinski. Means really good infrastructure and Service. 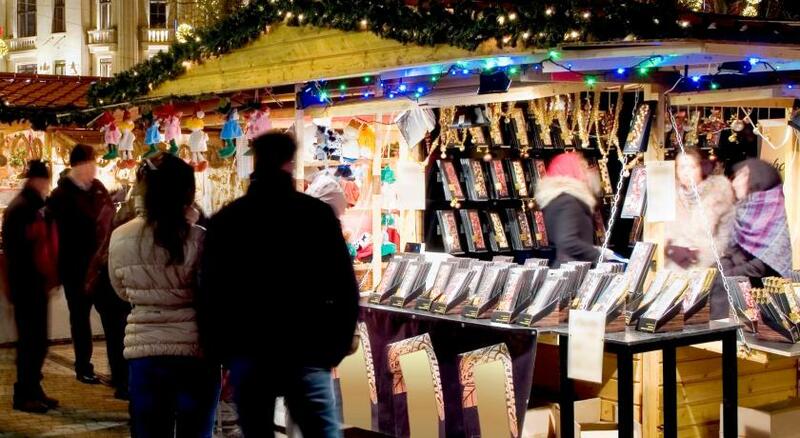 It was the best experience I ever had throughout my trips in Europe. The room was spacious and comfortable, location was very convenient and the staff were amazing. I would definitely stay there on my next visit and would hesitate for a second to book there. 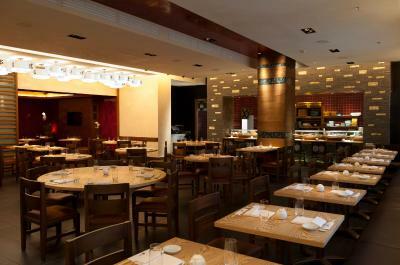 The location was pretty good, the staff was nice and very helpful, the room was spacious and clean. The facilities are nice and feel premium. Wifi good It was my birthday, and they surprised me with a small cake which was very nice! Luxury and fancy room, good service and polite staffs. Good location for shopping and giant wheel view. 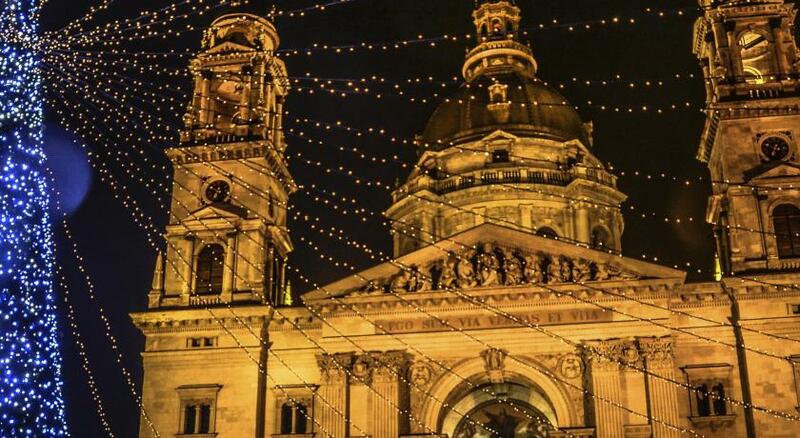 One of our top picks in Budapest.Situated 750 yards from the Chain Bridge and Saint Stephen's Basilica, Kempinski Hotel Corvinus Budapest offers several restaurants, luxurious air-conditioned rooms, and an indoor pool. 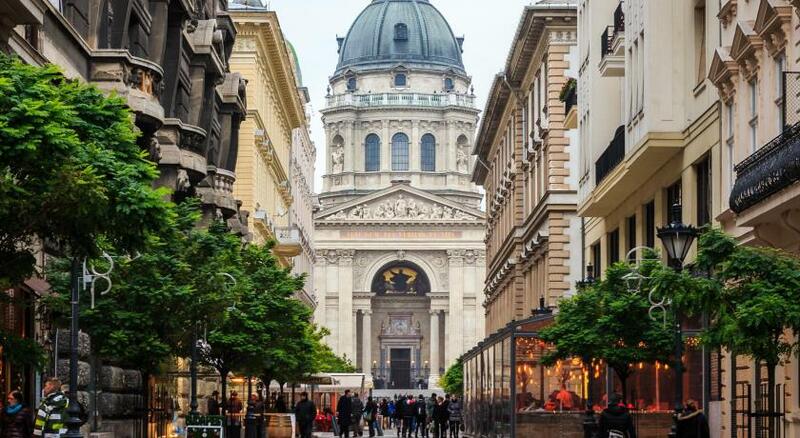 Its architecture is a symbol of modern Budapest. 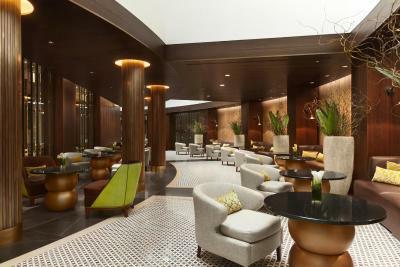 Altogether the hotel features 316 rooms and 35 suites. 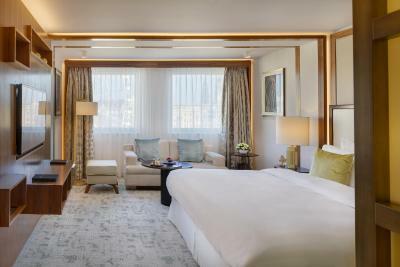 The hotel finished the renovation of rooms and suites on three guest floors to reflect a unique contemporary style, and to provide all the must-have features and conveniences of travel today. 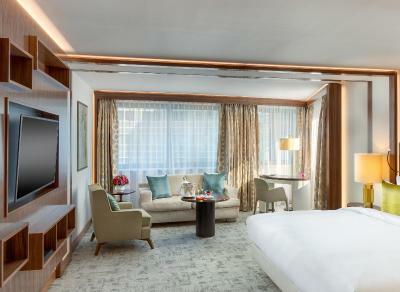 The grand deluxe rooms and suites are designed by British designer Alex Kravetz. 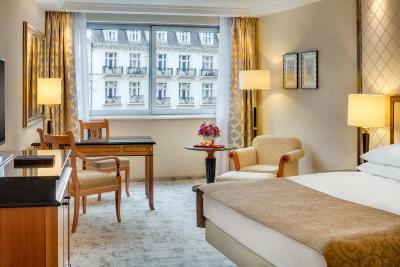 The superior rooms size is above average, while the suites feature some of the original artwork from the Corvinus Collection of Hungarian contemporary art. 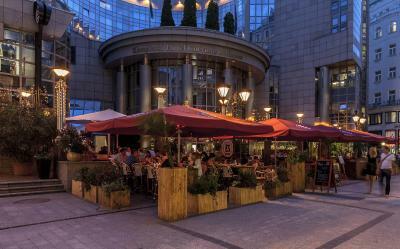 The Nobu Restaurant serves delicious sushi and innovative Japanese dishes, while the ÉS Bisztró-Brasserie features a summer terrace and serves Hungarian and Viennese specialities. 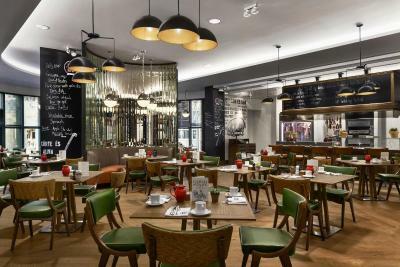 The Living Room is a classic coffeeshop with a modern twist. 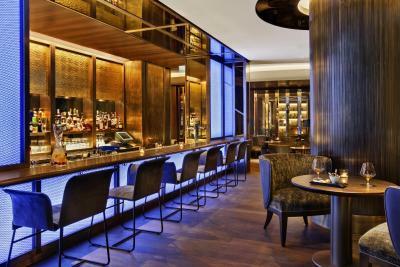 Drinks can be enjoyed at Blue Fox The Bar. 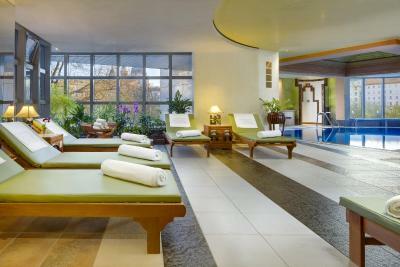 Kempinski The Spa, on second floor provides unique massages and body treatments with natural products. 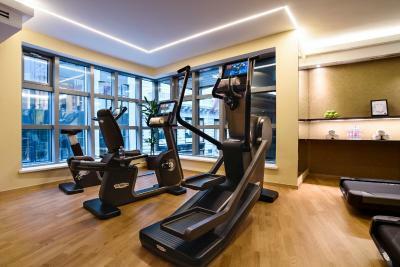 At no surcharge, guests can enjoy the sauna and the fitness centre. 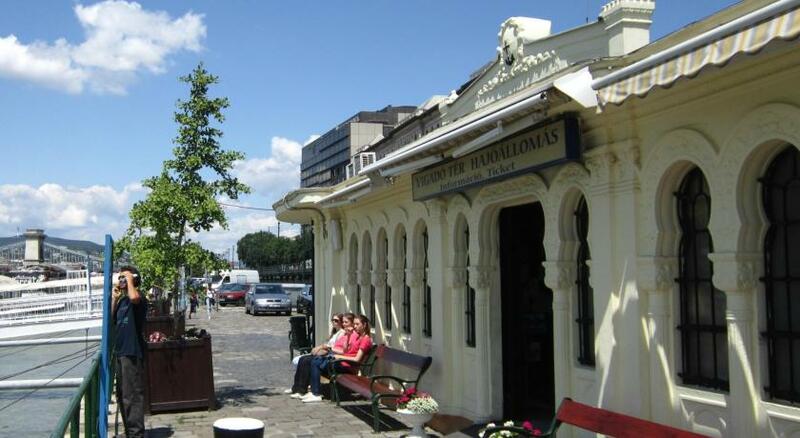 From the nearby underground and bus stops, guests can easily access all attractions. The Hungexpo Exhibition Centre is a 20-minute drive away. 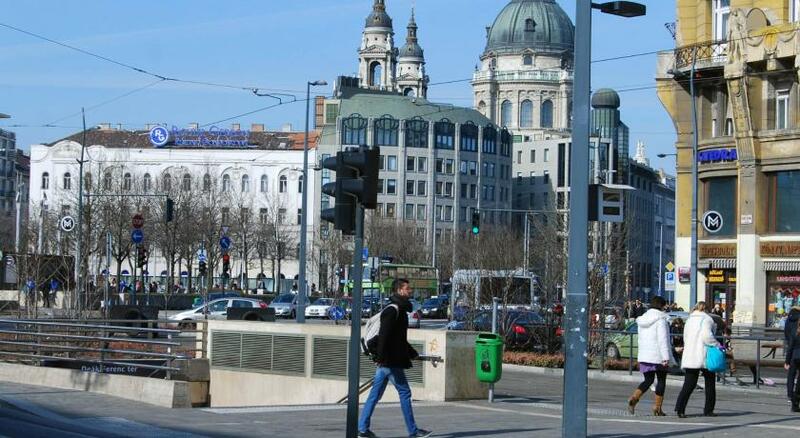 Kempinski Hotel Corvinus Budapest has been welcoming Booking.com guests since 29 Nov 2000. 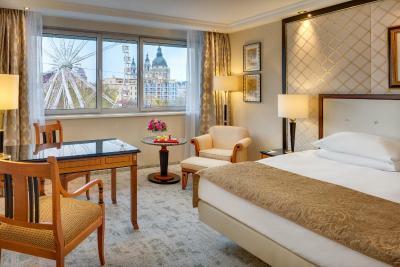 When would you like to stay at Kempinski Hotel Corvinus Budapest? 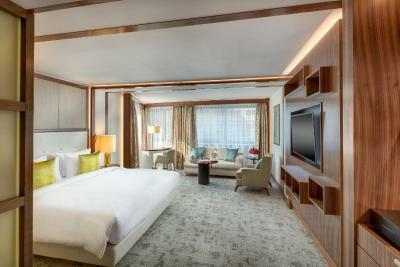 This room features a large desk, a minibar, a safe, a smart LED TV and a pillow menu. 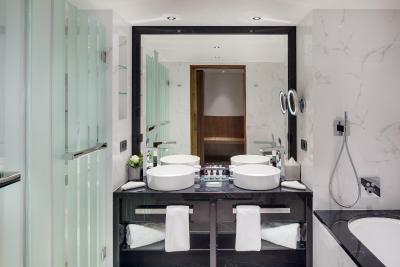 The bathroom which features a shower or a bathtub is fitted with underfloor heating. A bedding type and a view can be chosen upon arrival. It is subject to availability. Private parking is possible on site (reservation is not needed) and costs EUR 36 per day. This double room features a Nespresso machine, a smart LED TV, a seating area and a bathroom. A bedding type and a view can be chosen upon arrival. It is subject to availability. 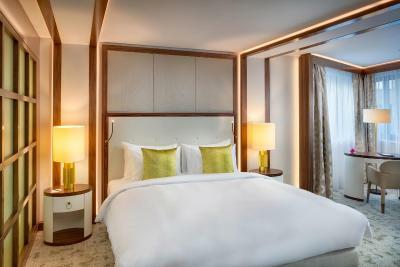 This refurbished deluxe double room features various views and bedding, combinations are subject to availability, can be confirmed upon check-in. 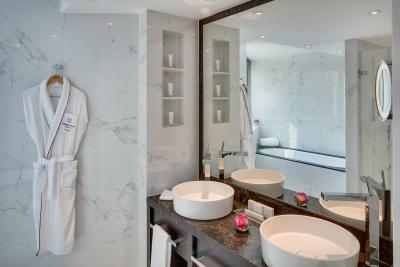 The room features a flat-screen TV, minibar and bathrobe. 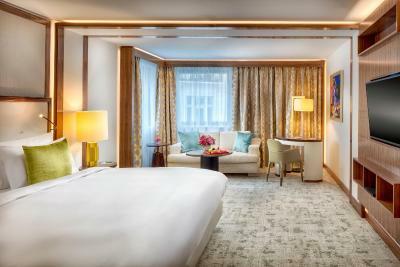 This redesigned Premium Grand Deluxe room has a bathrobe, minibar and seating area, and features a king-size bed, smart LED TV, large bathroom with shower and bathtub. 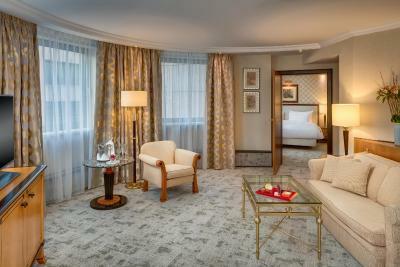 This redesigned Premium Junior Suite features a minibar, cable TV and sofa. The living room and the bedroom is optically separated, features a king-size bed, sitting area, Nespresso machine, smart LED TV, infotainment system, large bathroom with shower and bathtub. 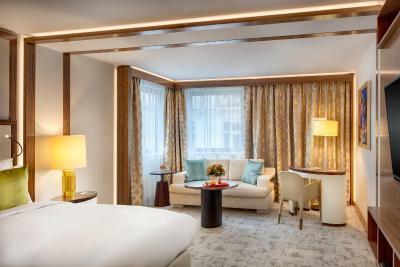 This refurbished Premium Superior Double Room offers double- or queen-size bed with view to Fashion Street or Bécsi street. The room has air conditioning, minibar, a smart LED TV and soundproofing. 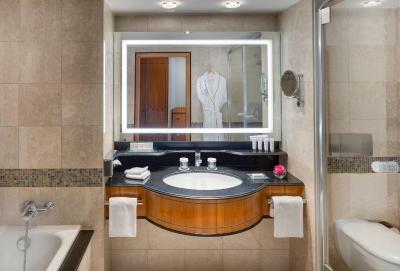 The bathroom is equipped with a shower or a bathtub. 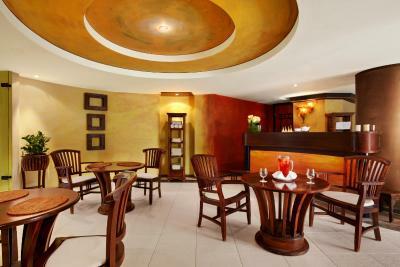 <<>> is available in the hotel rooms and charges are applicable. 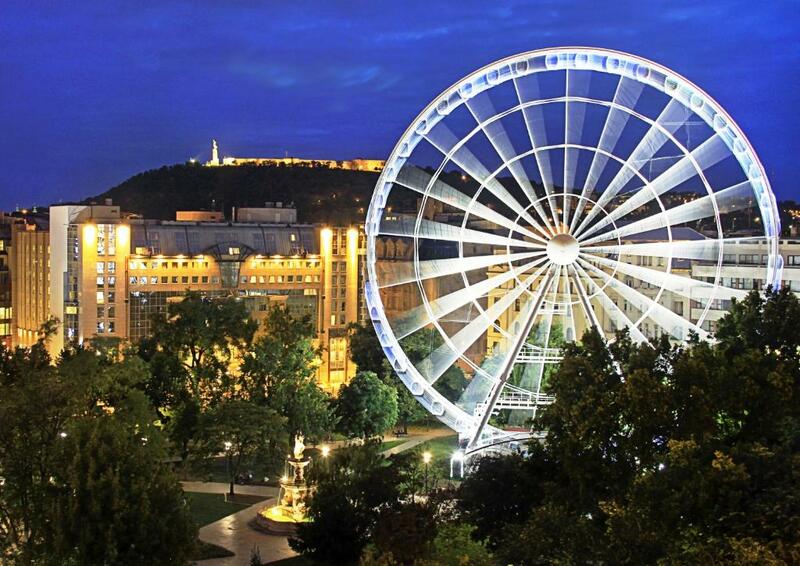 House rules Kempinski Hotel Corvinus Budapest takes special requests - add in the next step! All children under 12 years are charged EUR 42.70 per night for extra beds. All further older children or adults are charged EUR 85.40 per night for extra beds. 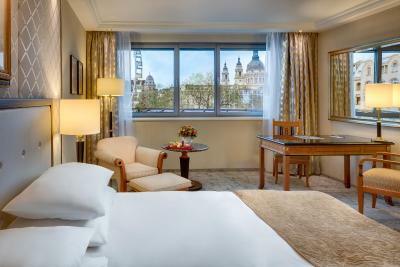 Kempinski Hotel Corvinus Budapest accepts these cards and reserves the right to temporarily hold an amount prior to arrival. Please note that, should any extra cleaning or repair be necessary because of guests' pets, the executive housekeeper has the right to charge the additional costs. Please note that the credit card used for the prepayment must be presented at check-in at the hotel. Should the card used for prepayment differ from the one that you will use during the stay, please contact the hotel beforehand. Reduction or extension of the length of stay may result in rate change. The credit/debit card presented at the time of check-in and/or reservation will be automatically pre-authorized by the hotel with the total room rate for the entire stay and additionally EUR 50 per day to cover eventual extra charges (e.g. minibar, room service, telephone costs, damages etc.). The blocked amount above the invoiced fee will be released at check-out. 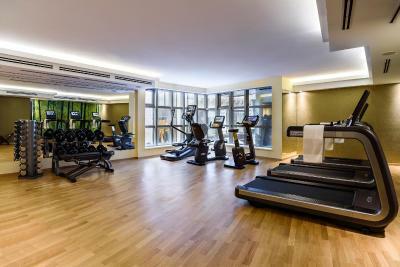 Please note that the minimum age for use of the gym and wellness area is 16 years. Children under 14 years of age can enjoy the indoor pools accompanied by an adult. During your stay from 7 January until 31 March 2019, works on a closed floor may result in noise occasionally between 9:00 am and 17:00. Not much. Pricey, so that could be better I guess. Minor misunderstanding at the check out. 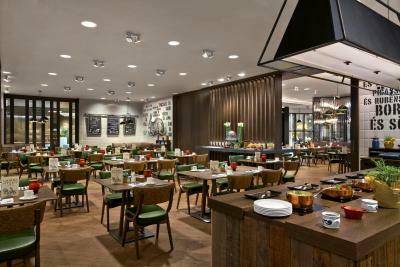 An offer for anticipated reservation wasn't taken into account for the bill. The reception manager, first reluctant to enter into discussion, finally decided to re-credit the Visa card for the over-payment. Advise - check your bill at the check out. Unpleasant reception, The hotel has weird smell, There is no door lock from inside as the housekeeper opened the door while we were inside the room and uncomfortable beds. 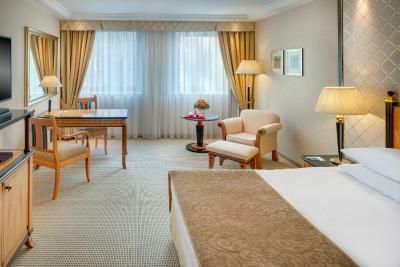 location of the hotel and high standard of room cleaning. It was modern & chic looking. Shower drain clogged. Had to have them come up twice to fix. Room too hot and A/C control did not work. Again, had them come up twice to no avail to fix A/C. Ordered ice for the room because no machines on the floor. They did not show up. Very disappointed in our stay. Room was a bit on the pricey side for the size (and with no bath). Breakfast was also on the pricey side but very generous. Air con in the room was complicated and we ended up cooking the first night until we got it figured out. Construction work every day. Too noisy. The Hotel is under construction and different streets around are under construction too. I would like to go again. But after the constructions are finished. The bed was extremely comfortable, the bathroom was spacious and clean. They upgraded our room and gave us an early check in.